Many years ago, a then-young Doug Arthur addressed our sin as a movement (and often as individual disciples) in not caring for the poor and needy much more than we were. Our sin was in the broad sense, a two-fold sin. One was that of indifference to the physical plight of millions of our fellow humans on this planet. It wasn’t like the Bible was unclear in its directions to serve the poor and needy. Who of us had not read the latter part of Matthew 25 many times and felt the weight of its plain teaching? Indifference is always a sin, because it is in the end a lack of love. Our other sin was one of biblical ignorance in just failing to grasp the theological and practical implications that we were missing in our presentation of the gospel of Christ. Helping the sick, the hungry, and the downtrodden was central to the ministry of Jesus on earth. He taught and preached, true enough, but his ministry triad included love for the poor and needy. Matthew 4:23 puts it this way: “Jesus went throughout Galilee, teaching in their synagogues, proclaiming the good news of the kingdom, and healing every disease and sickness among the people.” Matthew 9:35 uses almost the same terminology in describing this gospel triad. We have thankfully come a long way since our eyes were opened those years ago. HOPE Worldwide has been a great tool to help us in that process, both locally and globally. Today, we as a movement have a similar two-pronged sin crying for attention and repentance, also involving a sin of indifference and one of ignorance. In this case, our eyes have not been suddenly opened as they were in the former case with the poor. Our eyes need opening, but the nature of the sin and the way in which it is embedded in our very culture in this country means that this sin is not easy to see and even harder to want to see. Of course, I am addressing what I believe to be one of the biggest issues facing the American society and one of the biggest issues facing our movement of churches called the ICOC – true harmony in the realm of racial diversity. This issue needs to be addressed as directly and honestly as were our failures in helping the poor. Then we were at a very important juncture when God moved to define our movement differently than we had defined it. He intends to do exactly the same now in yet another area, and we must listen to him. As to our sins as a movement in this current area, the biggest sin is simply not caring enough to get involved in the race-related burdens that our brothers and sisters of color are carrying at this very moment. Indifference is still a sin. If you are white, you likely do not understand just what is boiling beneath the surface of our outwardly diverse spiritual family – and I include myself in that number. I have been dedicating myself to trying to understand and to helping my white brothers and sisters understand – for the past year and a half. Of course, I am also dedicated to encouraging our members of color to respond spiritually to unfair and hurtful prejudicial treatment. On a personal level, I understand far more than when God launched me on this mission, but the scary part is that increasing my knowledge has served to show me how much I have yet to learn. That learning process cannot take place without a serious commitment to both raising our awareness and increasing our actions. Somehow Saul of Tarsus became Paul the apostle to the Gentiles. No other apostle would have had as far to go in developing an understanding of the Gentile world as did Paul. But because he understood by revelation the centrality of the Jew/Gentile blending into one family as the means to carrying out the mission of Christ, he dedicated his total life to becoming all things to all men. Jewish blood may have coursed his veins, but kingdom blood was somehow transfused into those same veins so that nothing of his former culture was allowed to interfere with his mission to make Christ known in the way that Christ wanted to be made known; in the way that Christ had to become known if the Great Commission were to carry the day. We have been planting churches all over the world for many years now, a wonderful thing. We have taken the Great Commission seriously in some ways, but we have not necessarily understood one fundamental part of it. Going into all nations to convert their citizens is vital, but many nations like America have a citizenship that is a broad blend of races and ethnicities. We are not carrying out Jesus’ marching orders if we fail to purposefully reach out to all nationalities and cultures within a given nation, and that speaks to those of us in the United States in a special way. From the beginning of this country, we have prided ourselves in being a “melting pot” of many cultures. The mixing of races and cultures is not just a nice idea; it is central to the gospel message in an unbelievably important way theologically, as we shall see. 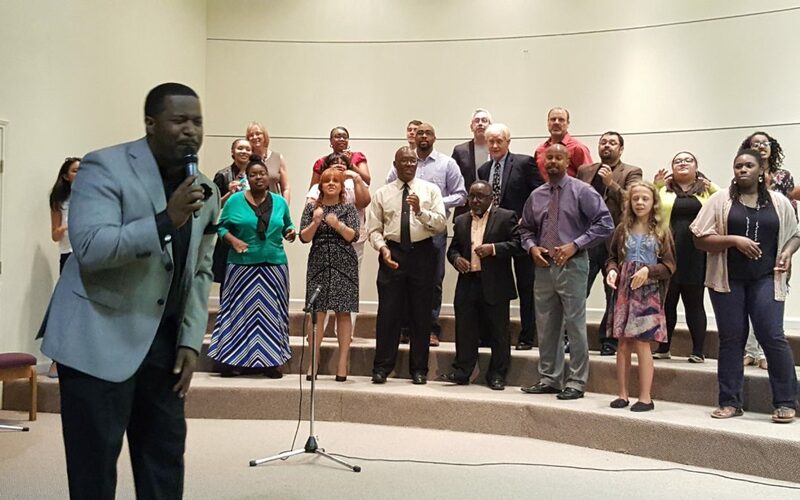 In our movement, we started off with a diversity in the Crossroads church in Gainesville, Florida – even though that was not the case within the mainline Churches of Christ out of which this movement sprang. We have continued to have racially diverse congregations, perhaps more out of tradition than by design. We started with diversity, a blessing for which our gratitude goes to those earliest leaders, and have continued it because that’s rather natural. From the beginning of creation, the seed reproduces after its own kind. Thus, we could expect that our membership composition would follow that same principle. That being said, we are still missing something, and that something is bigger than you might imagine. Let’s allow the inspired pen of the Apostle to the Gentiles speak to us – to show us why the word “centrality” is the only correct word choice when looking at racial diversity from God’s point of view, and its fundamental importance to the mission. Our failure to see (and act on) this theological centrality of the blending of cultures, ethnicities and races directly affects our effectiveness in carrying out of the Great Commission. Just as Jesus was the flesh and blood demonstration of Deity (Colossians 2:9 – the fullness), we are the flesh and blood demonstration of Jesus (Ephesians 1:22-23 – his fullness). Through the spiritual body of Christ, he is revealed and thus God’s heart is revealed. Without this demonstration in the flesh of Jesus, God would not have been fully known and without the demonstration in the flesh (via the church), Jesus will not be fully known. God chose to reveal the gospel in writing, but also to reveal it in flesh and blood – Jesus first in a physical body and then in his spiritual body, the church. Thus, we continue in the revelation process of making God known – through the holy writ and in flesh, our flesh. In the Gospel accounts, Jesus said several times that the world would come to believe in him based on demonstrations of these key qualities: unique love (John 13); unique unity (John 17); and, unique fruitfulness (John 16). I say unique, because the comparisons to Jesus when demonstrating these qualities take them to another level indeed. The latter would include the fruit of the Spirit as a part of the fruit of converting souls – bringing those of all nations and ethnicities into one family (Matthew 28). The number of times that this principle of Jesus bringing all peoples into one family is mentioned in the Bible is impressive. The Great Commission was Jesus’ greatest directive given as he prepared to ascend back to the Father. It could be identified as the ultimate demonstration of God’s plan to promote love, unity and a world-changing effect. The importance of diversity is quite a huge one, considering how it ties in to some of the most fundamental aspects of the whole Christian religion. Do not our hearts thrill at words like these from the prophets? The greatest demonstration in the first century was the ability to blend two cultures, Jew and Gentile, who absolutely hated one another. It doesn’t take a rocket scientist to make the application that the ability to totally blend (not just mix a bit on Sunday morning) black and white cultures is the greatest possible demonstration of Jesus in our day. Further, if working out the kinks between two groups of Jewish culture in Acts 6 produced a response of converting large numbers (even priests), just what could happen if our movement led the way in having true spiritual diversity? It is not being done in other church groups. Those with some diversity are actually losing it, based on recent reports. We have a tremendous opportunity in going far beyond the outward mix of our assemblies and making the principles of Ephesians 2, 3 and Colossians 1 an obvious mystery fully revealed for the world to see! What is the biggest deterrent to love, unity and growth (spiritual and numerical)? Hate – Satan’s greatest tool to produce the kinds of horrific actions taking place in the world today and in world history. What is the greatest demonstration of love, unity and growth? Whatever defeats hate – the greatest kind of hate. Surely overcoming racism would be near or at the top of that list. So how did God choose to do that, thus setting up a demonstration that would have the potential to affect the world? 14 For he himself is our peace, who has made the two groups one and has destroyed the barrier, the dividing wall of hostility, 15 by setting aside in his flesh the law with its commands and regulations. His purpose was to create in himself one new humanity out of the two, thus making peace, 16 and in one body to reconcile both of them to God through the cross, by which he put to death their hostility. 17 He came and preached peace to you who were far away and peace to those who were near. 18 For through him we both have access to the Father by one Spirit. 19 Consequently, you are no longer foreigners and strangers, but fellow citizens with God’s people and also members of his household, 20 built on the foundation of the apostles and prophets, with Christ Jesus himself as the chief cornerstone. 21 In him the whole building is joined together and rises to become a holy temple in the Lord. 22 And in him you too are being built together to become a dwelling in which God lives by his Spirit. In the next chapter, Paul elaborates about this ultimate demonstration, calling it the mystery of Christ – once hidden but now revealed. In Colossians 1, he states the same principle in a slightly different way. The word of God in its fullness was this defeat of hate and racism – comprising the very hope of glory. Bottom line, the more our goals on earth reflect our vision of heaven, the greater our fellowship will be and the more effective our evangelistic efforts will be. The church of the living God is the ultimate demonstration of Jesus and the heart of God, but it has to have as a major goal what Scripture defines as the mystery of Christ. If we want God’s kingdom in heaven to look like Revelation describes it, then we must pull out all of the stops to insure that it looks like this in his kingdom on earth. God – open our eyes and hearts!